The Holbein Multimedia spiral-bound book is a great all-purpose pad for plein air and studio use. 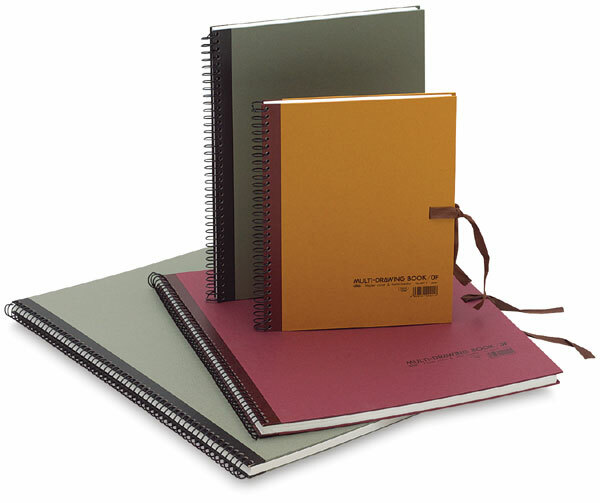 Each book includes 28 sheets of high-quality, all-purpose 80 lb, neutral pH paper that accepts watercolor, graphite, chalk, pencil, charcoal, or pastels. The heavy board covers fold back for additional support. Tie ribbons hold everything together protecting from loss or damage.